KINGSPORT, TN. - The Appalachian League released the 2019 regular season schedule today. 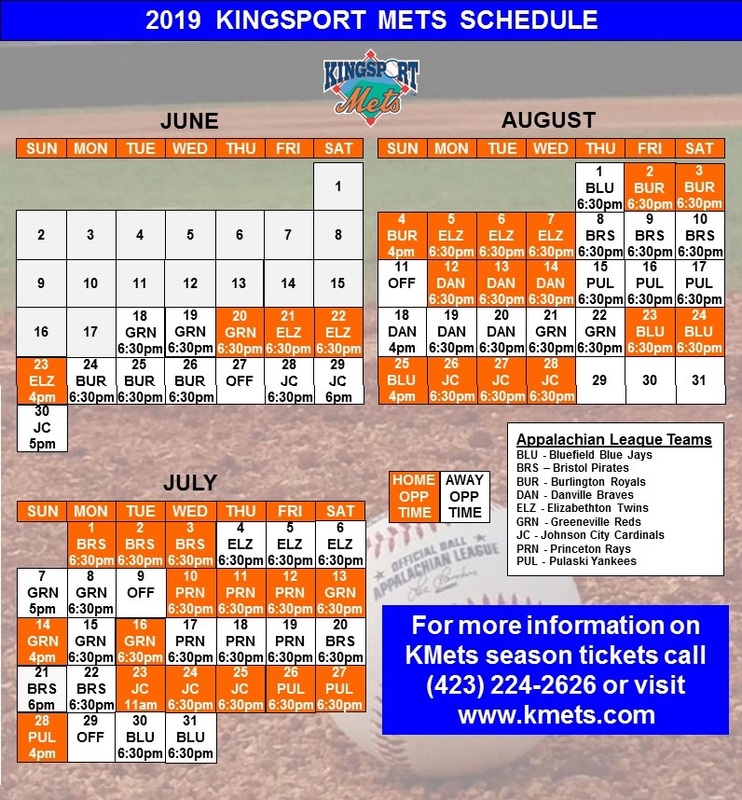 For the Kingsport Mets, the schedule features 68 games, 34 at home and 34 on the road. The KMets open up the 2019 season on the road, Tuesday, June 18th against the Greeneville Reds. Their home opener is scheduled for Thursday, June 20th also against the Reds. The season concludes on Wednesday, August 28th against the Johnson City Cardinals. Season tickets and group tickets will be available in the coming weeks. Sponsorships and promotional information will be available as well. In 2018, the K-Mets finished with a 33-35 overall record, good for second place in the Appalachian League West Division. With that second place finish, the K-Mets clinched a wild card berth in the playoffs but went on lose in the opening round of the playoffs to the Elizabethton Twins, 2-1. The K-Mets have made the playoffs three times in the last six years. 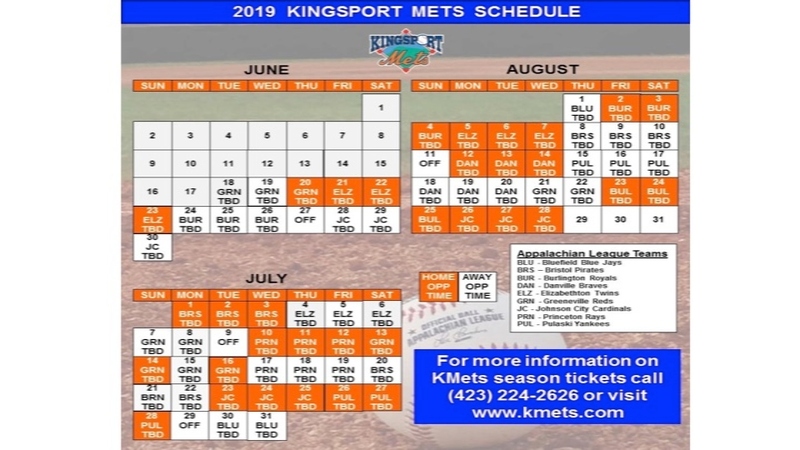 For more information on the 2019 Kingsport Mets season, season tickets, and sponsorship opportunities please contact the Kingsport Mets office at (423) 224-2626, email at info@kmets.com or log on to www.kmets.com. Check us out on Facebook and follow us on Twitter.